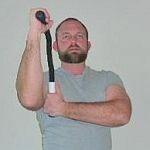 The HeartFlex workout tool pits flexing muscles against extending muscles so each movement builds both sets of muscles at the same time, cutting workout time in half. 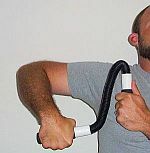 Various HeartFlex movements target ANY and ALL wrist, arm, and shoulder muscles including flexor / extensor, supination / pronation, aduction / abduction muscles. They also allow the targeting of crucial muscle connectors (tendons and ligaments), skeletal attachment points, and the intricate structures they comprise. 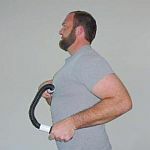 HeartFlex exercises allows "Active Range of Motion Therapy" (AROM) allowing the user to perform maximum joint manipulation through a complete range of motion (ROM) for the most rapid recovery of forearm injuries. 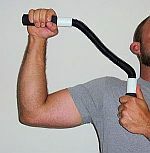 Athletic Trainers (AT) utilize the Heart Flex forearm rehab tool to customize and prescribe individualized injury exercises. 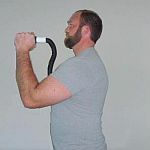 HeartFlex exercise equipment performs cool downs after rigorous training sessions or sporting events. It allows the athlete to slowly decrease activity with HeartFlex and eliminate accumulated muscle toxins while incrementally re-establishing pre-exercise physiology. 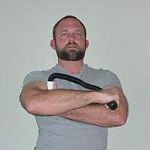 HeartFlex is designed as a personal workout tool and its low price makes it possible for each member of the team to have their own.